This visual indicates where Screening and Assessment fits in the Transition from Jail to Community model. Welcome to Screening and Assessment. This module focuses on screening and assessment, the starting point of any targeted intervention strategy. The implementation of facility-wide screening and assessment allows us to triage higher-risk inmates into the programs and interventions targeted for their needs, without spending unnecessary resources on low-risk offenders who are not likely to return to jail. The process allows us to target scarce resources for the offenders who have the greatest needs. Before we begin, take some time to think about the screening and assessment your facility presently does. A basic definition for screening is the use of a brief instrument to detect an individual's potential risk or needs, while assessment is the process of identifying and documenting the specific risk and needs. Does your intake screening process utilize an empirically based medical screen(s)? Does your intake screening process identify individuals with mental health issues? Does your intake screening process identify individuals with substance abuse issues? Does your intake screening process identify individuals with suicide risk? Do individuals who score positive on mental health or substance abuse screens receive further empirically based assessments? Does your intake screening process utilize an empirically based pretrial release screen? Are detainees with low pretrial release risk scores generally recommended for release? Does your intake screening process utilize an empirically based risk-to-reoffend screen(s)? Do individuals who score medium or higher on the risk and needs screens receive further empirically based assessments? Are your risk and needs screens distinct from your classification system instrument? 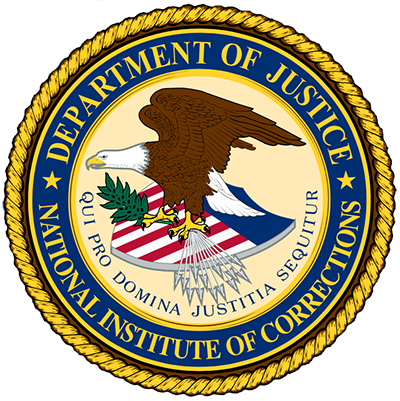 Does your facility use an objective classification system for all incarcerated people? Did you answer “All the time” to the above questions? If not, this module is meant to help you understand why these different assessment processes are so important to the Transition from Jail to Community (TJC) model. This module also includes a list of links to commonly used screens and assessments. 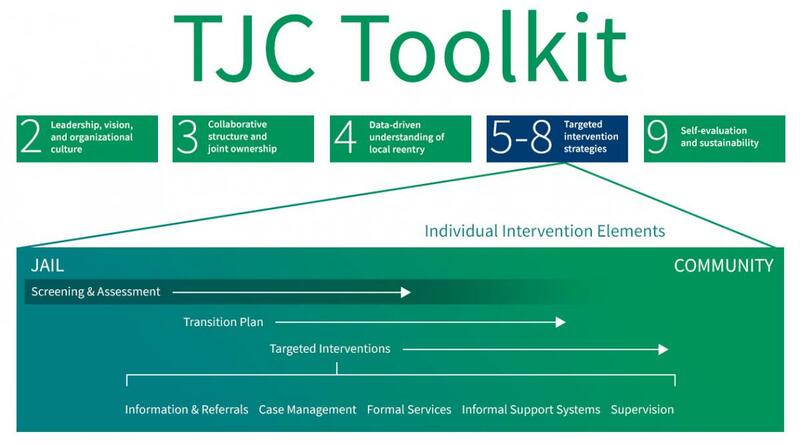 In this module you will have the opportunity to explore the second and third Targeted Intervention Strategies tasks of the TJC Implementation Roadmap, which highlights the importance of screening and assessing pretrial and sentenced individuals during incarceration and upon their return to the community. Task 2. Apply screening instrument to all jail entrants to identify inmates of varying levels of risk. Task 3. Apply a comprehensive risk/needs assessment instrument(s) to selected higher risk jail entrants. Explain the purpose and importance of using screens and assessment tools. Select screening and assessment instruments that will identify the level of risk and needs within your jail population. Create a structure to apply screening and assessment tools in your facility or agency. List the basic requirements of training staff to administer the instruments. Download Module 6 in PDF format.